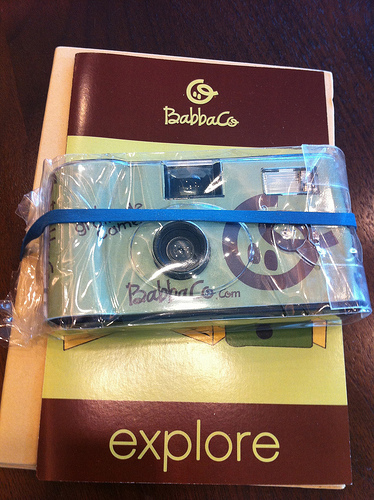 Babbaco Box Review and Discount Coupon Codes! Have you discovered Babbaco yet? Babbaco is a fabulous monthly subscription box service which delivers supplies and ideas for craft activities for your children to enjoy. Babbaco was created by Jessica Kim who has just had her third child. She is very hands on with the company and has formed a great team of experts to produce a monthly box of crafts and activities. The Babbabox is made for children aged 3 to 6 but my 10 year old really enjoyed the activities as well. Create. Each box will contain 2 or 3 projects with all of the materials that you need included. Explore. A theme based product to encourage your child to engage and explore the outside world. Story Tell. Each box contains a specially chosen book with a story which relates to the theme of the box. Connect. Interactive learning online and with pre paid apps for your phone. Everything is included in the BabbaBox. No having to search around for that cardboard box, length of string, special colored pencil, paint brush or construction paper. Everything is right there in the Babbabox so that you can spend your time helping and actually engaging with your kids, rather than searching for inspiration (usually the difficult part) and materials (the time consuming and expensive part). My boys were so excited to receive the Babbabox. It came just at the right time as we had just been evacuated out of the house with the floods. We knew that we were going to be in an hotel for quite a few days and so the timing was just perfect. The theme was absolutely perfect too! Gratitude was most certainly the perfect subject theme for the box! The huge thing for me about Babbaco was it’s all right there for you to start the activities right away. No having to search for the materials. How many times have we had a great idea and then realized we have to drive to the store to get a couple of items? After 10 years of homeschooling and putting together all the projects myself, to have something there already made up was a huge thing for me. Not to have to think about anything but have everything you needed right there was very exciting. My youngest son was so excited to have the disposable camera. This isn’t something that we would buy as we have digital cameras, which he often uses, but he was so pleased about the disposable one. He is enjoying taking pictures and will use them to create his own very special gratitude journal. We have spent some very happy hours enjoying the Babbabox. It was so good to have everything linked to a theme, as it inspires so much discussion about related things. It was amazing to have the theme of gratitude this time as it was so appropriate. It helped us talk through what had happened in the flood and also enabled the boys to create some things for some very special people who are important in their lives. 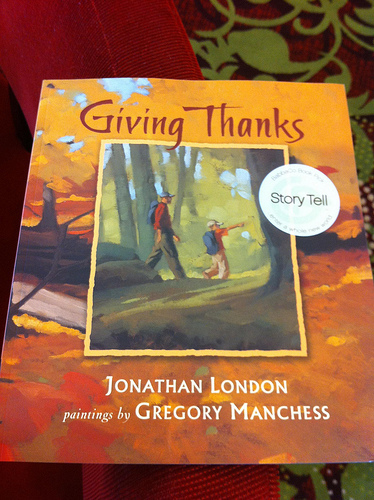 We started with the story ‘Giving Thanks’ by Jonathan London which really set the scene nicely to get us all thinking about the things that we are grateful for. Then the boys wanted to make the cards – there were plenty of materials here for a number of cards and we particularly liked the tree cards! Making the trivet and the tray was also a lot of fun. 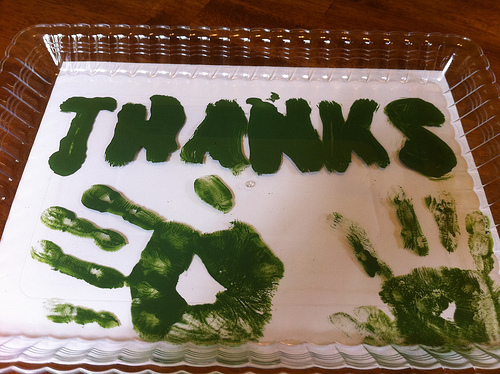 Of course the favorite part was creating the hand prints! So just what is the cost of the Babbaco Box? It is very affordable and we think excellent value for the amount of things that you receive in each box – and of course the convenience of having all the projects thought out for you. We also have our exclusive Babbaco Box Discounts for you! That’s just $23.99 for your first box! That’s just $20 per box! Remember that Babbabox would also make a great gift. We feel that the Babbaco Box is excellent value for money. Particularly if you enjoy one of our discount Babbabox coupon codes. But we definitely feel that for the amount of hours of enjoyment and ‘together time’ it provided for us it was definitely worth the subscription price or $29.99. Remember that you can get the Babbaco Box for just $20 with a 3 month subscription with our exclusive code DM33BTS or just $23.99 for your first box with code DM20OFF. Just Click Here for BabbaCo and use either of the coupon codes at checkout. 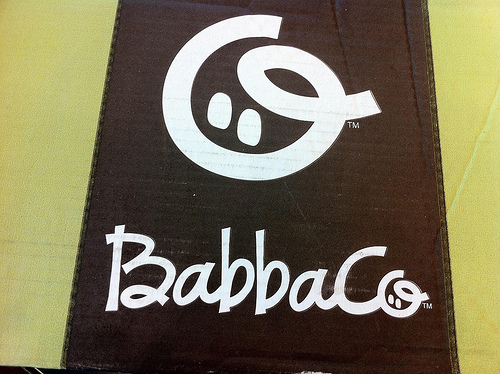 We received a complimentary box from Babbaco. We loved our box and have no hesitation in recommending it to our readers – our opinions are very much our own! Brooklyn Beans Variety Pack Coffee K-Cups for Keurig Brewers Just $0.55 Each! Everything just $12.99 and Under at Gymboree..Yes, Everything! Get a Smile Bright Teeth Whitening Pen Completely FREE!